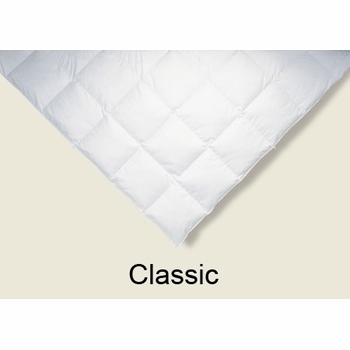 The Classic weight Monarch comforter by Ogallala is truly comfortable. The Monarch classic is known for moderation, not too light and not too heavy. Filled with soft Hypodown 700, the Monarch is made of long staple cotton sateen bordered by a satin piping that brings you warmth anywhere you need to relax. Its classic box design is baffled for consistent appearance and warmth. 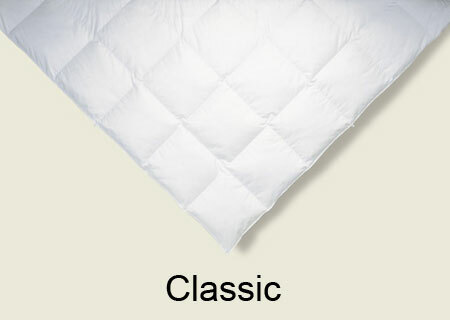 300 thread count cotton is a gentle nest that caresses a sleeping body from dusk until dawn. Available in twin, full, queen, super queen, king and super king sizes. For additional comfort add a Hypodown pillow. Twin measures 68" x 88". Full measures 80" x 88". Queen measures 88" x 88". Super queen measures 98" x 98". King measures 104" x 88". Super King measures 115" x 110". Hypodown 700 - 85% Goose Down Clusters and 15% small feathers. Care: Spot clean when possible. Place in dryer on low heat to refresh the down or hang on a clean line on a sunny day. For major cleaning use a professional launderer who is familiar with down products. When you choose a down product, be sure to check out the down cluster content, it is required by law and gives you a way to compare apples to apples. The Ogallala company difference: This company is reknowned for searching the world over for the fluffiest, cleanest white goose down (fluffs). They grow their own Syriaca and collect the finest pods. Their processing team captures the largest Syriaca clusters (tufts) and transfers them to the patented Hypodown blender. Forced air whirls and twirls the fluffs and tufts..... creating Hypodown. The most comforting innovation in sleep. 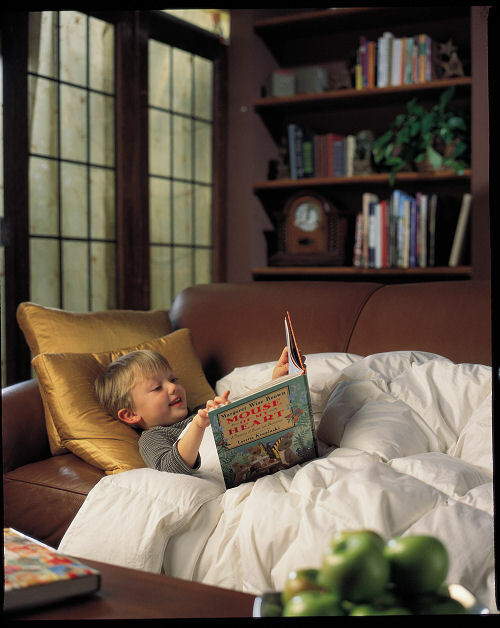 They believe in delivering better sleep, something everyone wants and needs without any hassles. Ogallala luxury bedding is designed to last a lifetime and beyond. All items ship directly from the designer.